Whether you're riding on the rolling hills, cruising the fire roads, or bombing down the mountain, you should be wearing a helmet to protect your head. 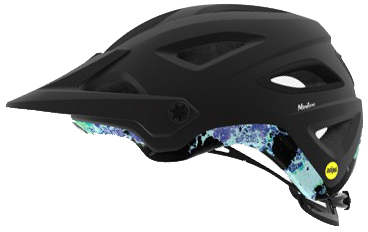 The Giro Montara MIPS Women's Helmet is a mountain bike helmet designed for women that is loaded with features. It has a POV Plus visor that allows riders to lift the visor so they can place your goggles on the front of the helmet. It also has full camera mount integration that also can be used for a light. It is MIPS-equipped which helps redirect impact energy so it isn't transferred to your head. With 16 vents with internal channeling, your head will stay cooler longer on warm rides.